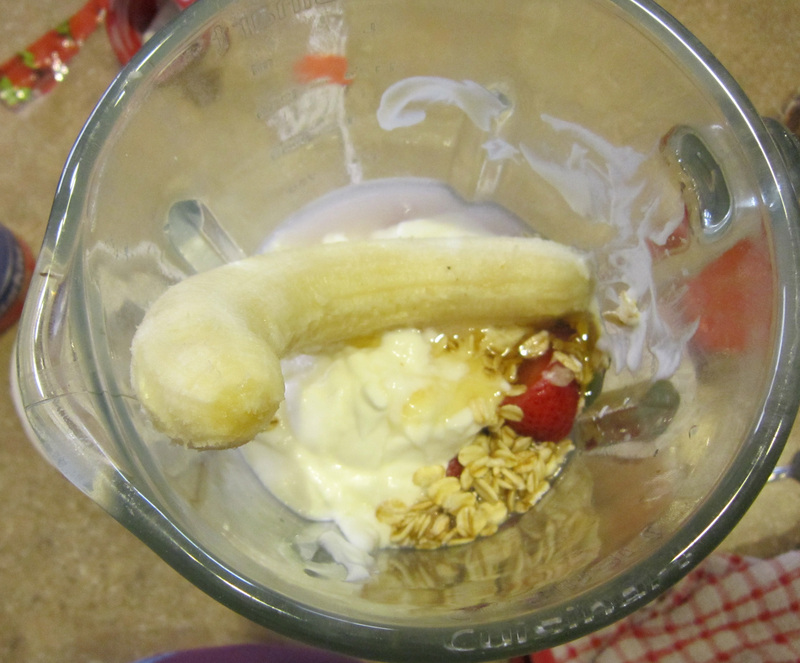 I’m usually terrible at making smoothies, but I thought I would give it another try. 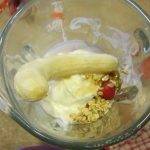 I found this recipe from the Martha Stewart website and decided to give it a try with only a slight modification. 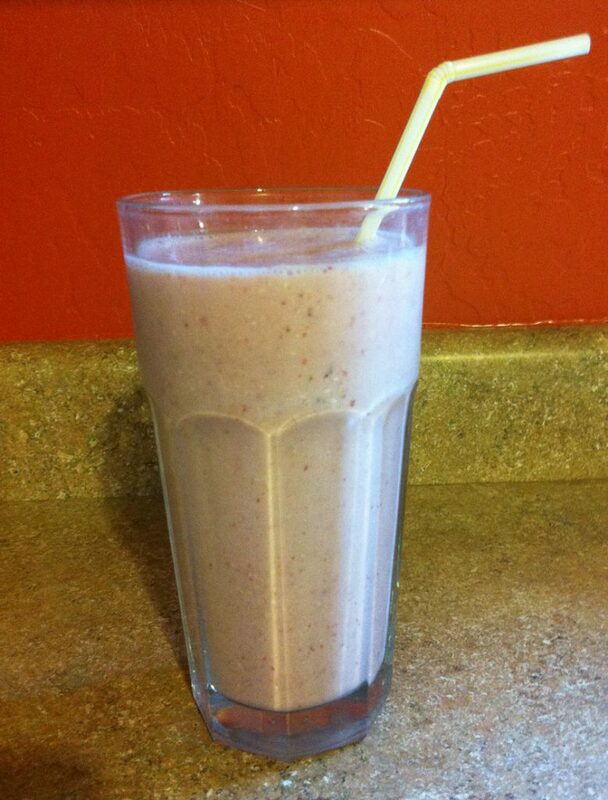 The original recipe called for raspberries, but I used strawberries instead. 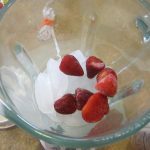 It turned out to be pretty good and was a great use for the coconut water I had in my freezer from the coconuts I opened a while back. 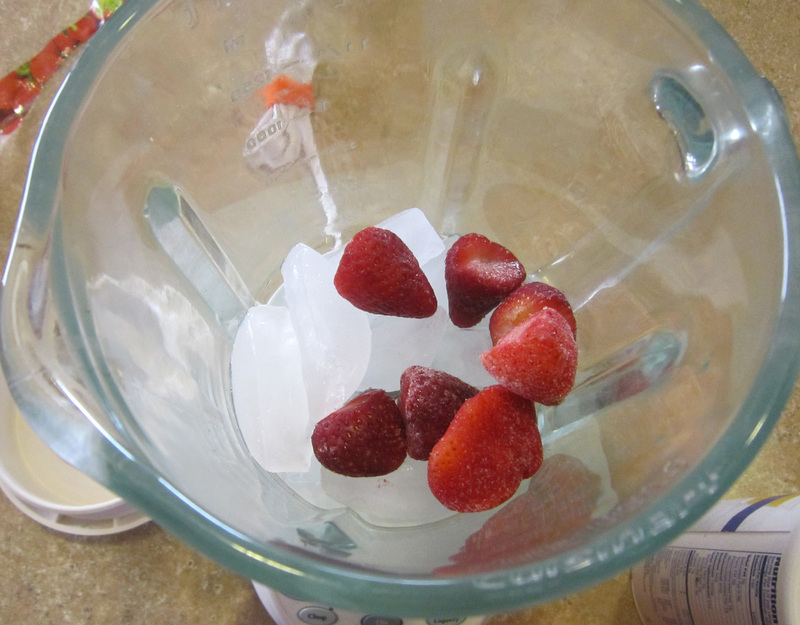 Place the ice and frozen strawberries in the blender. Add the remaining ingredients on top. For the coconut water/juice, just start with ¾ cup and add more if you need to.